Designed for ultimate speed, safety, convenience and affordability. 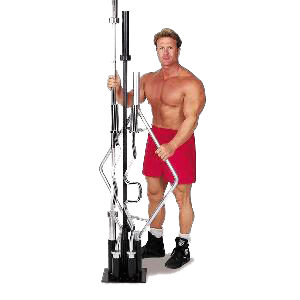 It’s a ”must-have” for gyms, schools, clubs and especially the home. Perfect for 5’, 6’ and 7’ Olympic bars, curl bars, triceps bars, trap bars! Keep your workout area safe, clean and organized. Satin black powder coat finish will look new—even under heavy usage.